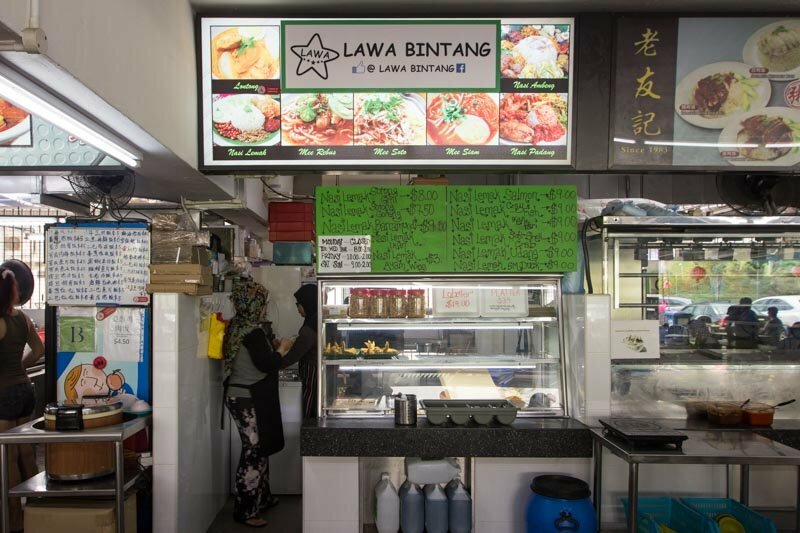 Nasi lemak is usually a humble dish found almost everywhere in decent quality, but it is difficult to find a stall that serves nasi lemak that can stand out from its competition and Lawa Bintang is one of those stalls. 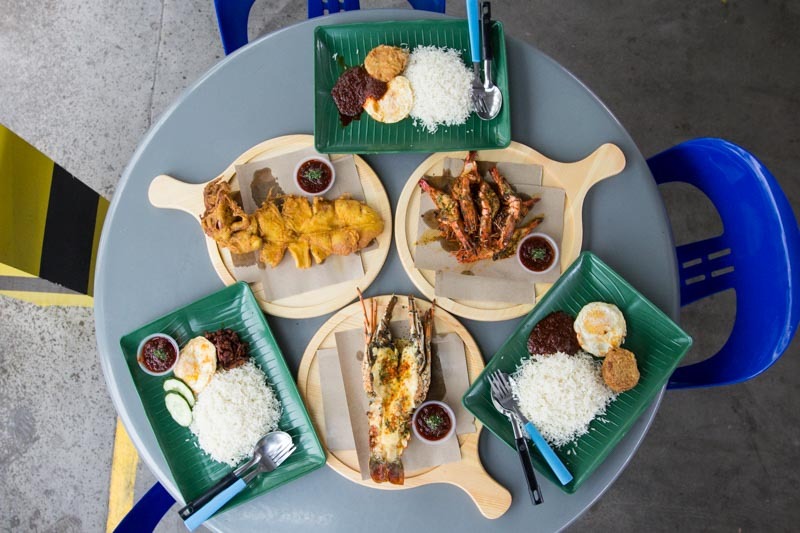 Tucked away in Tampines, this stall offers nasi lemak with a wide variety of toppings ranging from sotong, smoked duck and even lobster and soft shell crab. The seafood is freshly imported from Malaysia every day too. 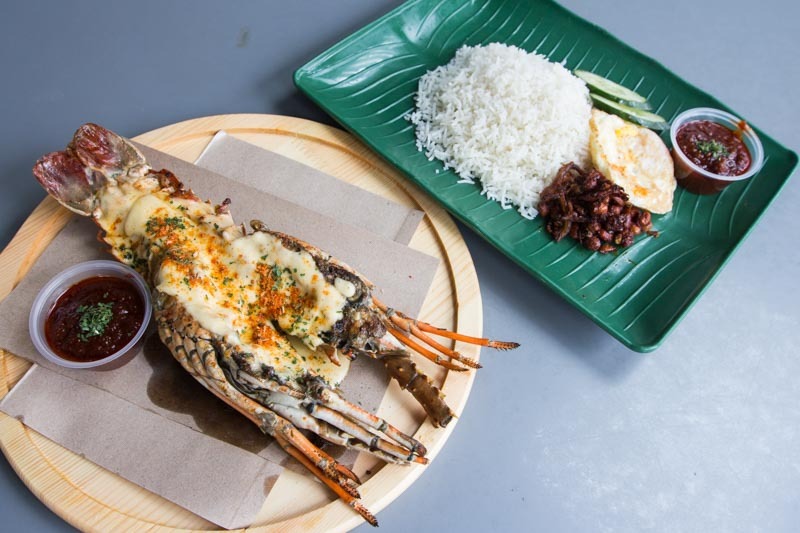 Lobster nasi lemak. You better believe it. Starting off with the Nasi Lemak Udang ($9), I was thrilled to see seven large prawns that came alongside the plate of fragrant nasi lemak rice. The prawns were big and juicy with a spicy-sweet sauce that really enhanced the flavour, and it was definitely a filling meal on its own. The rice was light and fluffy with a prominent taste of coconut milk and the egg yolk was served runny, along with the chilli that was satisfyingly spicy with a hint of sweetness. I also tried the Nasi Lemak Sotong Goreng ($7.50), the squid had a nice chewiness to it and the batter was crunchy and not too dense. It might be a bit tough to cut off pieces of the sotong with just a spoon and fork, and it’s made tougher with the satay stick in the middle of the squid, so remember to pull that out to make your life a little easier! The squid came with the same chilli on the side and it went well with the fried squid. If I had to mention a downside for this dish, it would be that I wished the squid was slightly larger; it might not totally fill up a hungry person with a big appetite. The highlight of the meal was the Lobster Nasi Lemak ($22)! With a delicious cheese sauce that was creamy with a hint of herbaceousness, the meat from the lobster was sweet and cooked to perfection. I found myself scraping at the shell for the last bits of sauce to pair with the rice, that’s how delicious it was. 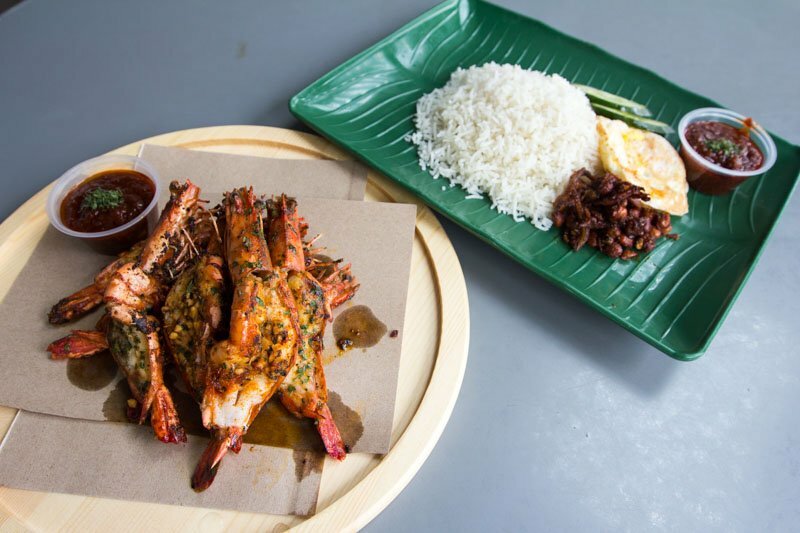 If you’re a fan of seafood, I highly recommend either the Lobster Nasi Lemak or the Nasi Lemak Udang. 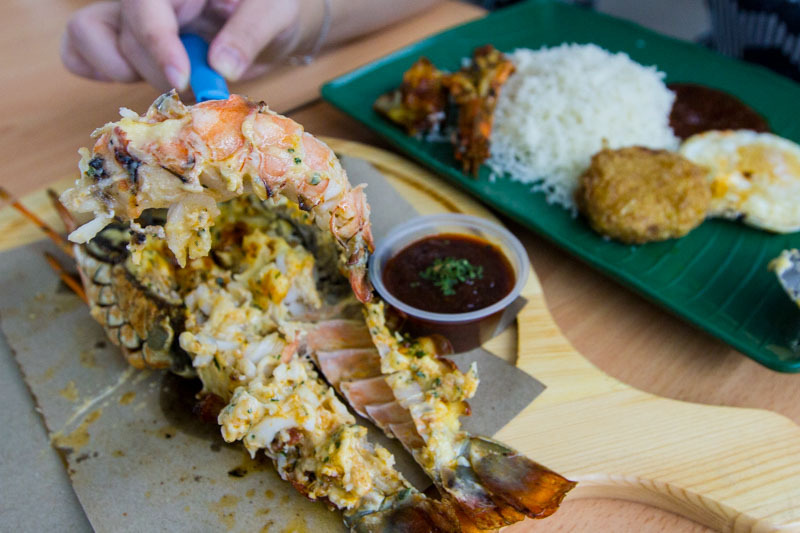 With these fresh seafood ingredients, it’s definitely a step up from the regular nasi lemak. 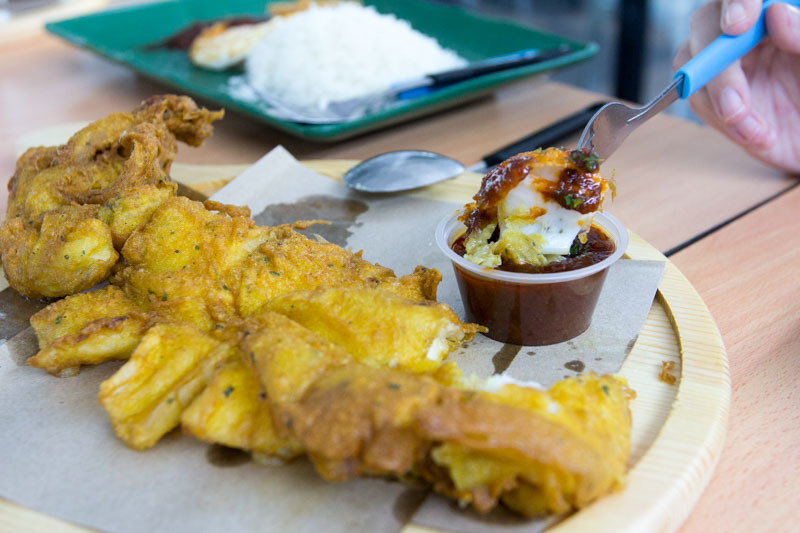 It might be a little troublesome to get to Lawa Bintang from the MRT station, but I think the short inconvenience is easily compensated with a table filled with delicious food. Go early though, the Lawa Bintang closes at 2pm, breakfast or lunch is the only time you’ll get to indulge in this amazing Nasi Lemak!